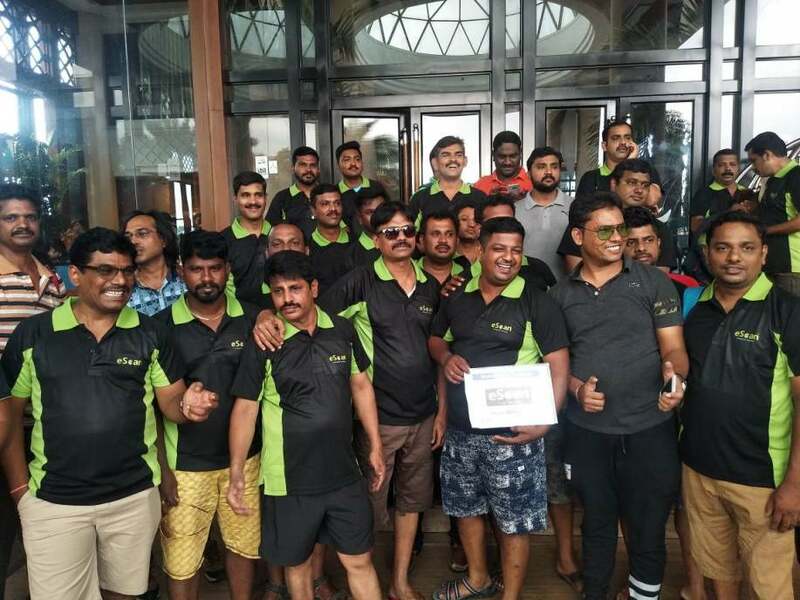 NOVI, Mich. - May 22, 2018 - PRLog -- eScan, one of the leading anti-virus solution developers had launched an offer to reward its channel partners with 2 nights and 3 days trip to Pattaya. The offer was launched exclusively for Southern region and about 70 partners from the region had been to the destination. The 2 Nights/3 Days luxury outing to Pattaya was packed with tranquil sightseeing that included a visit to Coral Island that offers plenty of water sports. Be that as it may, the highlighting feature of the outing was extravagant "Alcazar Show". The whole excursion included stay at an exotic resort, aside from an elite touring visit and shopping at Pattaya shopping centers. Mr. RK Balu, General Manager, Channel Sales for India, eScan said, "Our partners are one of the major contributing factors in the success of eScan as a brand. Today, eScan is one of the most preferred security solutions amongst the IT users across the Southern region. It would have not been possible without our wide network of channel partners across India that ensures the availability of eScan range of products in each and every part of the country. Hence, in order to reward our partners for their significant contribution, we regularly announce such aggressive schemes." eScan values its relationship with the channel partners and with this scheme rewards their commitment for their contribution to making the company reach the end users. Being a channel oriented brand, it has always supported its partners with different and exciting offers and rewarding them for their dedication and consistent efforts towards the brand. eScan is an ISO (27001) certified pure-play enterprise security solution company with over 2 decades of expertise in developing IT security solutions. eScan today has a presence in 12 countries through its offices and subsidiaries. It also boasts of a robust channel partner network of more than 50, 000 partners spread across 190 countries worldwide. It is trusted by more than 6,500 enterprise and corporate users spread across various industry segments such as Government, BFSI, Education, Defense, Telecom, IT & ITeS, Infrastructure, Hospitality, and Healthcare worldwide. It is powered by some of the latest and innovative technologies, such as Proactive Behavioral Analysis Engine (PBAE) Technology, MicroWorld Winsock Layer (MWL) Technology, Domain & IP Reputation Check (DIRC) Technology, Non-Intrusive Learning Pattern (NILP) Technology, and sophisticated Anti-Virus Heuristic Algorithms that not only provide protection from current threats, but also provides proactive protection against the ever-evolving cyber threats. eScan provides 24x7 free remote support facility to help its esteemed users to provide real-time solutions for security-related issues.